Sitecore Experience Platform is a global leader in experience management that allows companies to create deep customer relationships by delivering the right content to the right person at the right time. Knowing how powerful Sitecore Experience Platform is, we've identified 8 key features that will help your business stand out from the crowd. 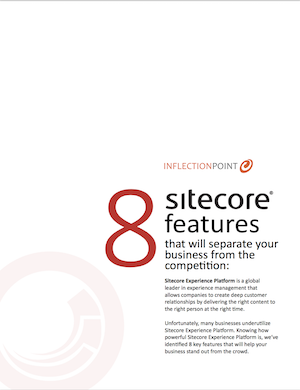 Register to download our "8 Sitecore Features that will separate your business from the competition" article.